Have you ever been out and about and found a painted rock? Maybe it was at the park or on a hike. It may have even been in a parking lot or on a sidewalk. The hottest hobby of the year isn't virtual reality: it's rock painting! If you have been wondering why people are painting rocks and hiding them, you have come to the right place! Why are people hiding painted rocks? 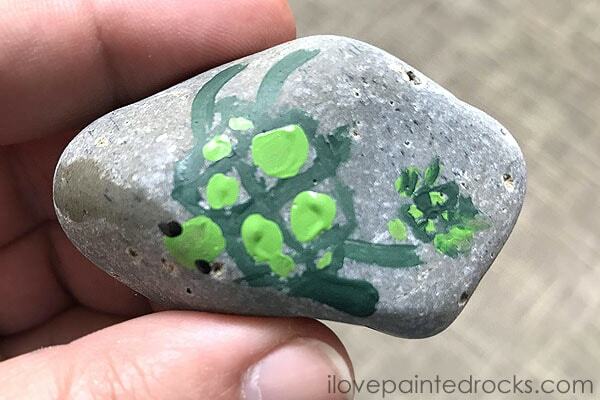 If you were to ask most of the people who spend their time painting rocks and hiding them for others to find, they would say it's to bring joy to others. Maybe you are having a terrible day and an unexpected gift left on the sidewalk will make you smile. Maybe you've been looking for a sign and there it is! Anyone can play the hide and seek rock game! 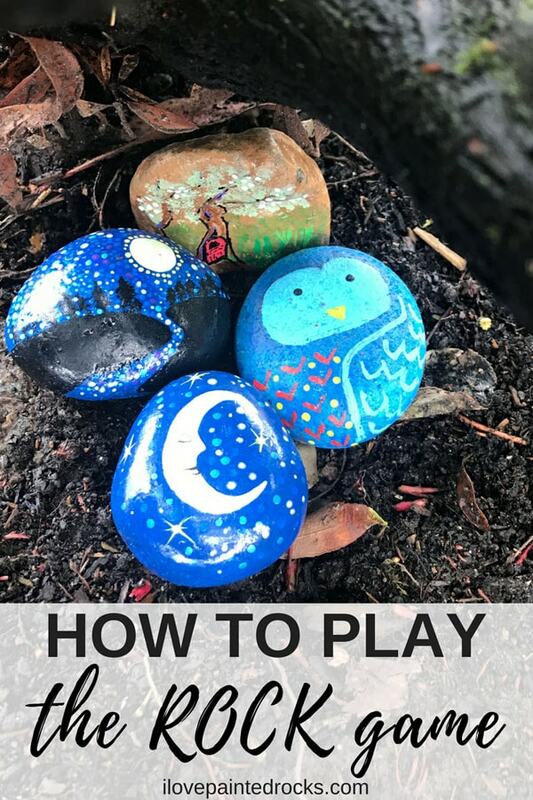 Depending on where you live, this game might also be known as "Kindness rocks", "Traveling rocks", "rocks of love" or simply "painted rocks"! 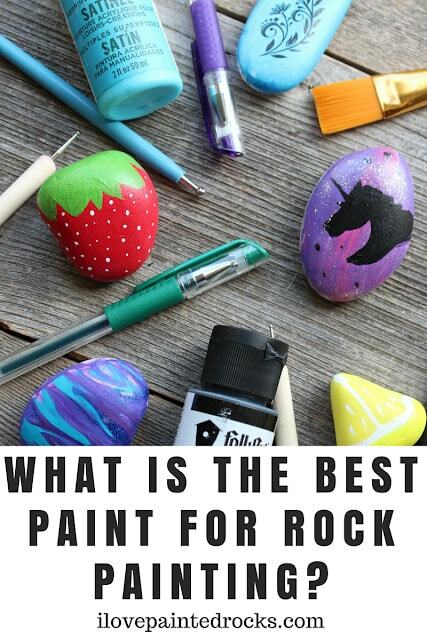 Step 1 for playing the rock game: Paint a rock! Not crafty? That's ok! 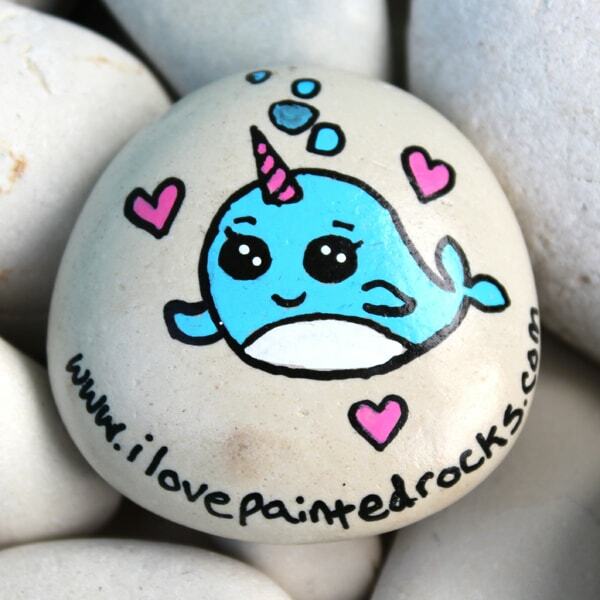 I have all kinds of great resources to get you started painting rocks. Not sure what kind of paint to use? I've got you! 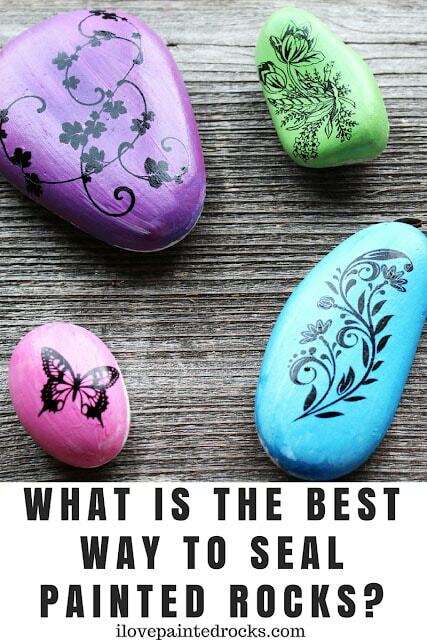 Not sure what to paint on your rock? I've got you there, too! Step 2 for playing the rock game: Label your rock! Help people know what to do with the rock they just found by labeling it. This is the simplest. It lets people know they aren't stealing the rock they found. 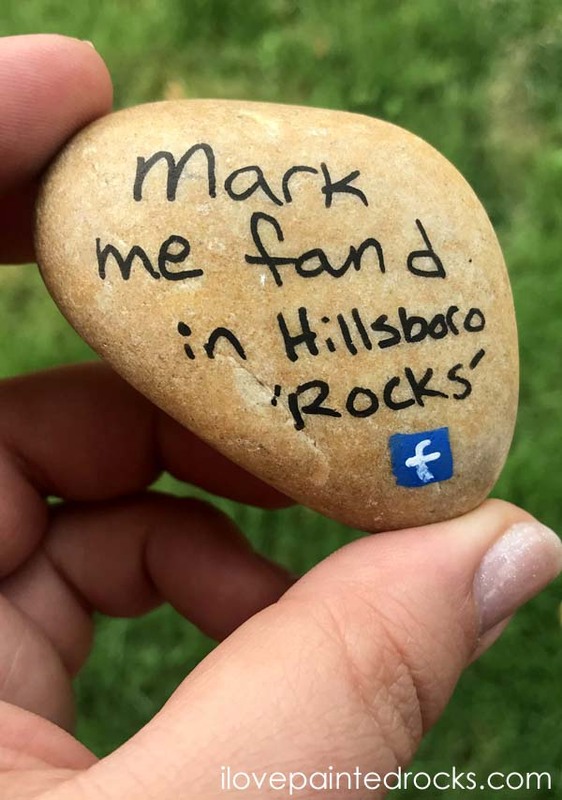 "Mark me found in (name of rock painting facebook group) (facebook symbol)"
If you joined a local rock painting group on Facebook, leave the name of your group so the finder can post in the group that they found it. Maybe they will want to get in on the fun, too! Keep in mind that even if you write this on the back of your rocks, only about 10% of rocks will get marked found. Enjoy it if your rock gets marked found but don't expect that every finder will follow these instructions. Some people just write "(name of rock painting facebook group) (facebook symbol)"
This is a good way to label rocks that don't have a lot of room but I personally think giving more clear directions is helpful. Step 3 for playing the rock game: Seal your rock! You have to plan for your rock to eventually be exposed to the weather. Sealing your rock will protect the artwork and make sure the art stays on the rock and doesn't end up on someone's hands! Gross! Most of the time, sealing rocks with a clear spray sealer is going to be your best bet. Step 4 for playing the rock game: Hide your rock! Popular places for hiding rocks include local parks, parking lots or outside business establishments. One place you SHOULDN'T hide rocks? Inside a national park or at a national monument in the USA. The United States' National Park Service has specifically said that to them painted rocks are considered litter. If painted rocks are spotted in a national park or monument by staff, they'll be thrown away. Luckily there are THOUSANDS of other places to hide rocks, so just be sure to do it there. Are people rock hunting near me? People are painting and hiding rocks all over the world! While it is not required, it's highly recommended to find and join your local rock painting group on Facebook. To do that, try searching for "(your town name) rocks" and see what comes up. If you are from a small town, try looking for the name of the closest large town or your county name. You may also be able to find regional groups like Pacific Northwest Painted Rocks or Midwest Rocks. If you find a painted rock, the first thing you should do is examine it carefully to see if it has any writing or a label on it. If you find any words labeling your rock, punch them into Facebook and see what comes up. Most local rock painting groups are organized on Facebook. 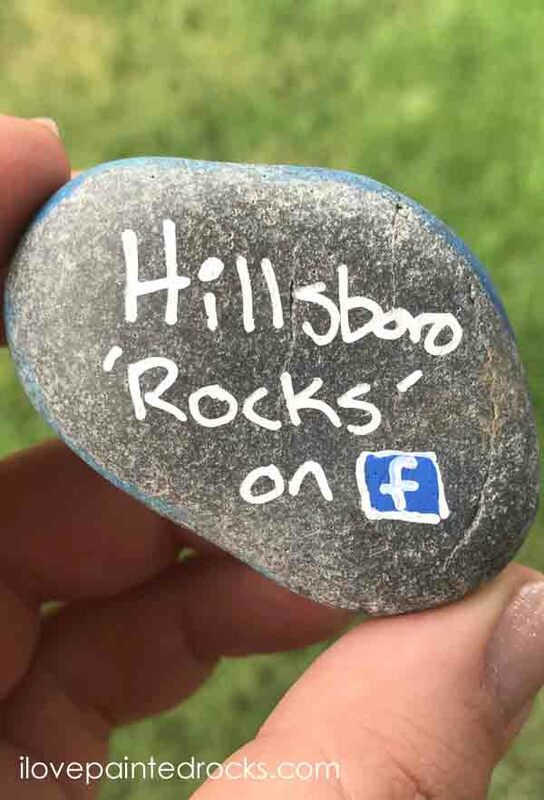 So Hillsboro "Rocks" is the name of the rock painting group in Hillsboro, Oregon. There are also regional groups like the Pacific Northwest Painted Rocks Group (#PNWPR) and #WCPR is for West Coast Painted Rocks. You should be able to type the name of the group or the hashtag (the words with the #) into the search bar on Facebook and find the group the rock originated from. Once you find the group, ask to join and post a photo of the rock that you found and tell them where you found it. The painter of the rock will love to hear that it has been found. If you are from Texas but found a rock with an Oregon hashtag, that's ok! You can join the group temporarily just to share your find and then leave the group and nobody will be offended. Anyone can look for rocks! Be on the lookout when you visit parks, hiking trails or even just walking around town. Painted rocks are often left on the ground but can be higher up on benches, walls and even in trees! Anyone can leave a rock! 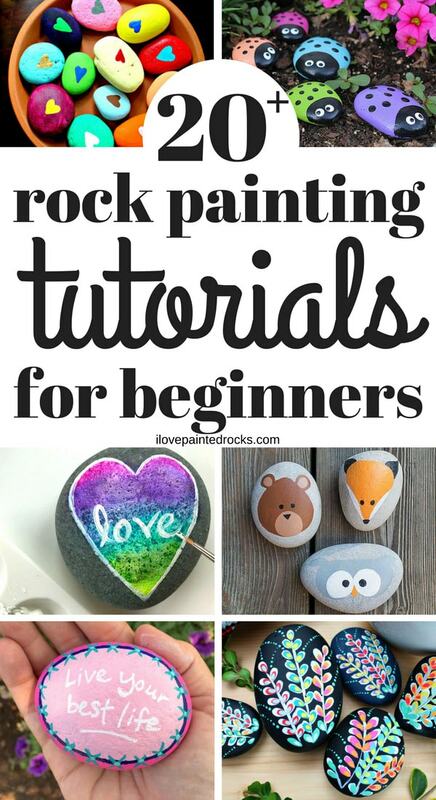 You can use our Getting Started guide if you are new to rock painting. 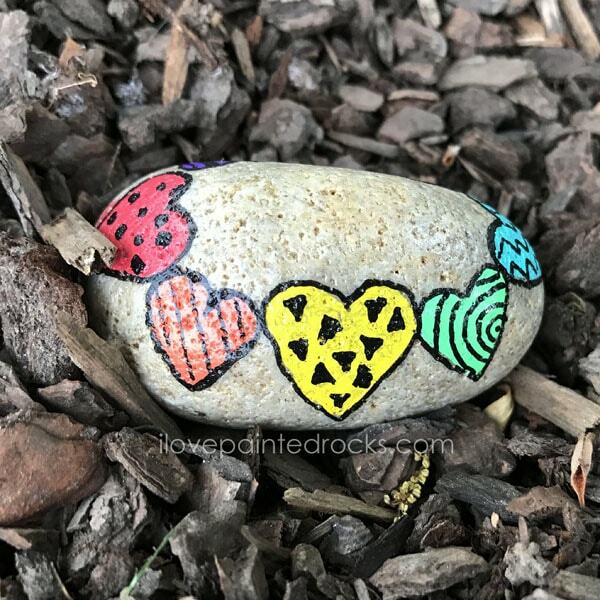 When decorating your rocks, keep in mind that most local rock groups will ask that you NOT adhere items to the rocks like feathers, googly eyes, and sticker as these can fall off and create litter. And don't forget to keep your painted rocks out of national parks in the United States! 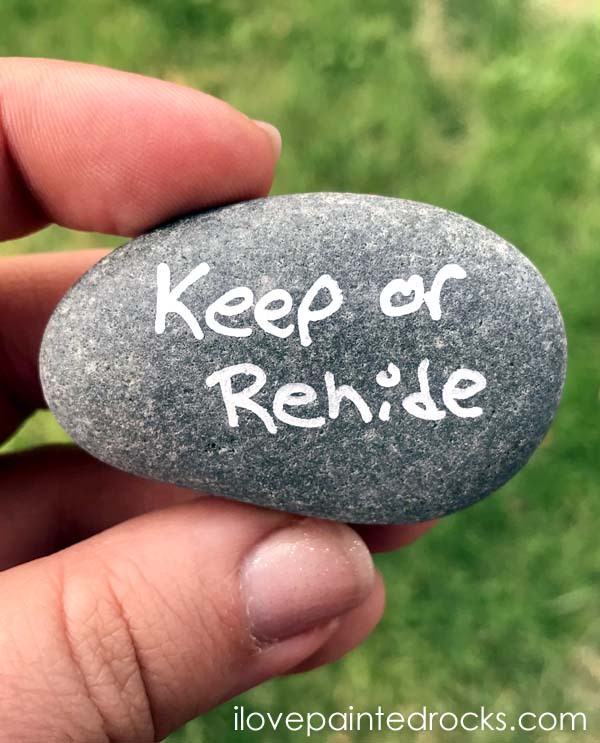 If you can't find a group connected to your rock, I would make a public Facebook group on your wall and use the # on the back of the rock to share that you found it. Some people paint and hide rocks just for the joy of it and don't leave a group, hashtags or other finder instructions. If that's what happened with you, just enjoy your rock for now until you decide you would like to rehide it.